Black Onyx Banded Bracelets with Owl Charm. 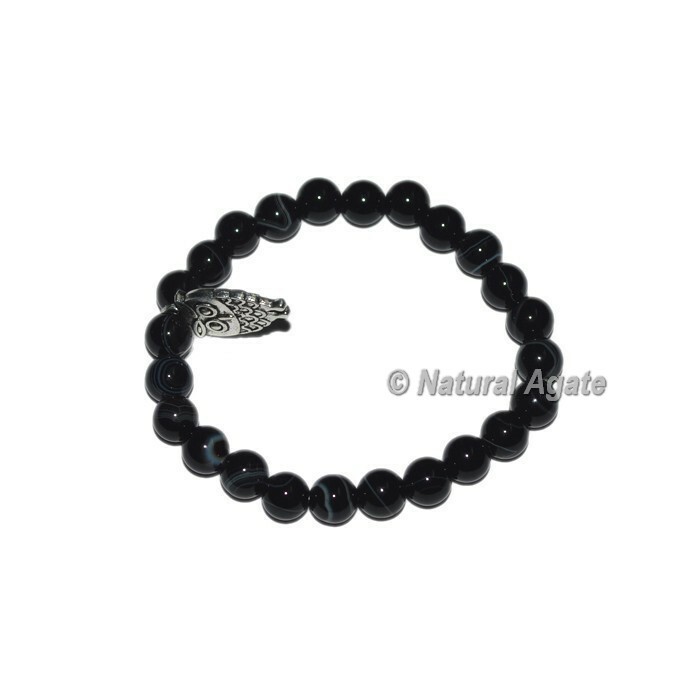 Dazzling owl charm bracelet made from highly polished black onyx gemstone beads known to have healing properties. For a special order or for making the bracelet as per your design contact us directly.